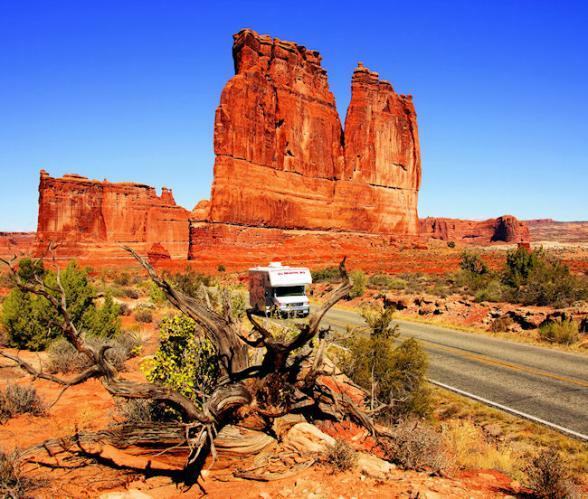 Come 'California Dreaming' on this 14-day/13-night motorhome tour exclusively for Caravan Club Members. Departs Saturday 16th September 2017. Flights from London Heathrow to San Francisco and home from Los Angeles to include all taxes, charges and fees (regional departures are available). 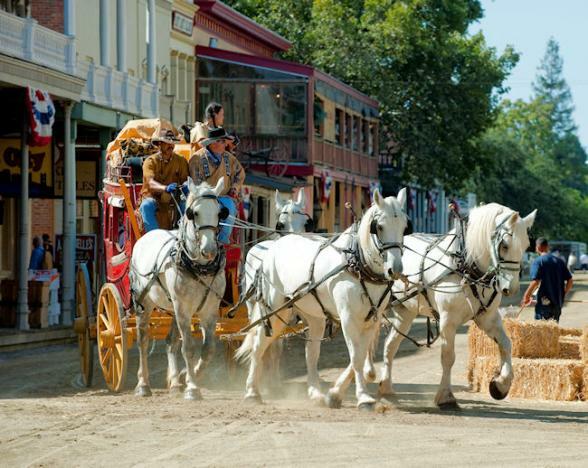 Tour Manager to coordinate local San Francisco excursions and all tour arrangements. Tour Escorts will be available to provide support throughout the road trip. Two nights stay at 4-star hotel in Union Square, San Francisco in a double room. Full city sightseeing tour on day 2 taking in Fisherman’s Wharf, Chinatown, Lombard Street, the Golden Gate Bridge and Alcatraz. 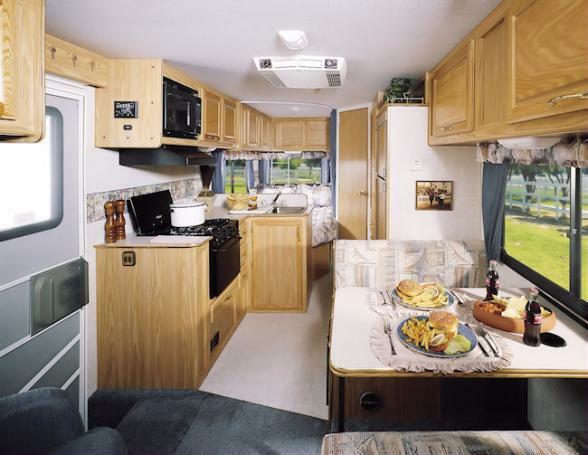 Hire of the motorhome (23-26ft) with all mileage and insurance included as well as personal and kitchen kits. 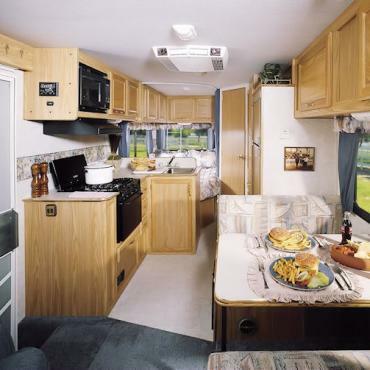 All campground admissions and hook-ups, plus personalised road book with daily driving instructions and area information. 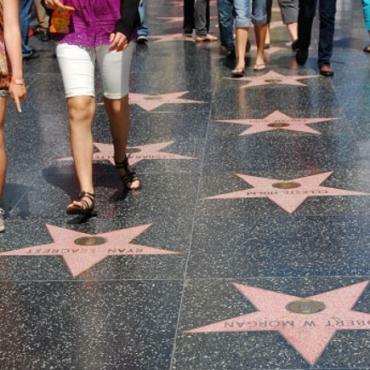 Transfers to Los Angeles International Airport for your return flight to the UK. Bon Voyage are able to add any pre and post tour variations that individuals require on a bespoke basis. Why not consider a trip to the Islands of Hawaii? A city stopover in New York or Boston? Perhaps time in Las Vegas and a helicopter trip to the Grand Canyon appeals? Please do call for further details. You'll be met at San Francisco International Airport and transferred to a 4 star hotel downtown for the first two nights. 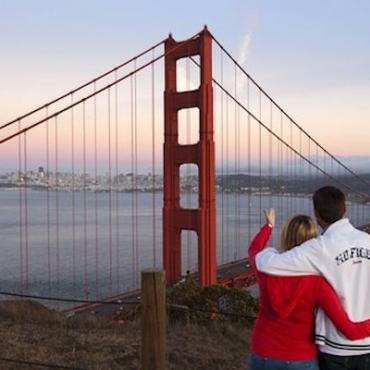 On your first evening in 'Frisco you'll get to meet your fellow travellers and tour guides. 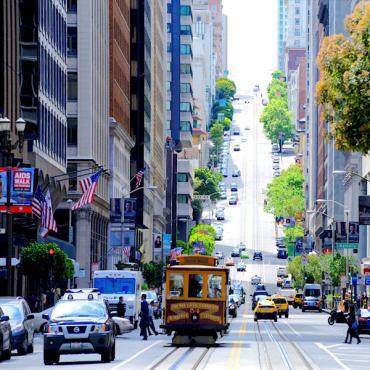 Whilst in San Francisco you’ll enjoy the city on a hop-on hop-off double-decker bus tour where you’ll take insights as Fisherman’s Wharf, Barbary Coast, Ferry Building, South of Market, City Hall, Union Square, Chinatown, North Beach, Lombard Street and Pier 39. 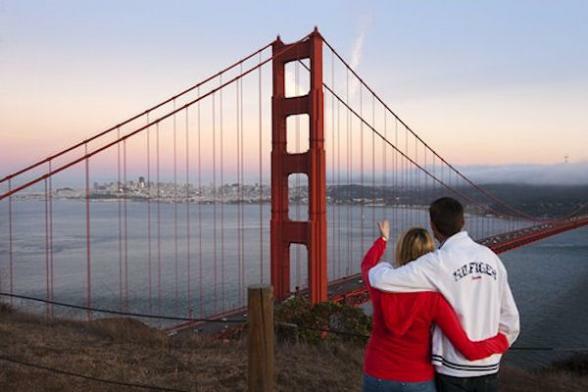 You can also visit the Golden Gate Bridge, see the world famous ‘Painted Ladies’ Victorian houses and the beautiful Golden Gate Park. An undoubted highlight of a visit to San Francisco is the chance to explore Alcatraz Prison, the former home of notorious criminals such as Al Capone, and the ‘Birdman’, Robert Stroud. Your holiday includes a return ferry ride to Alcatraz and the award-winning audio tour of the Cell House. The history of this legendary prison is brought to life by the real life voices of the correctional officers and inmates who lived on the island during the infamous Federal Penitentiary era. Hear about escape attempts, ‘The Battle of '46’, food riots, and surviving solitary confinement. 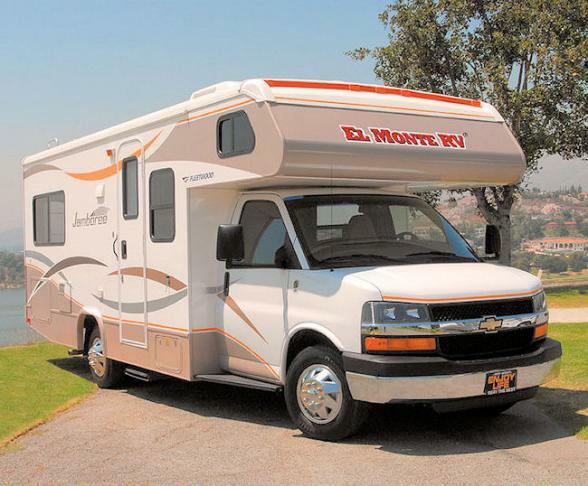 It’s an early morning group transfer from your San Francisco hotel to the motorhome depot. Here you’ll meet your Tour Escorts and be provided with an orientation session for your vehicle before we leave for Sutter Creek. We'll plan to leave the depot by midday and stop en route to stock up on supplies before we hit the road and head towards the foothills of the Sierra Nevada and into the very heart of Gold Rush Country. Our overnight stop is in Sutter Creek, perched on the edge of Wine County. 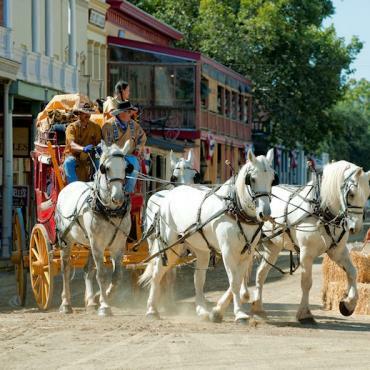 This delightful little Californian town, born from the Gold Rush era, maintains its quaint atmosphere and charming Main Street. 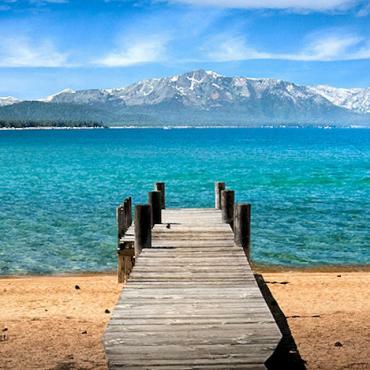 Often referred to as ‘The Big Blue’, Lake Tahoe is at an elevation of 6,225 feet and straddles the California/Nevada border. The lake is the second deepest in the USA, tenth deepest in the world and so extraordinarily clear that at some points you can see to depths of 70 feet. There's the option of taking the scenic 70 mile drive around the lake before we arrive in the Zephyr Cove area. 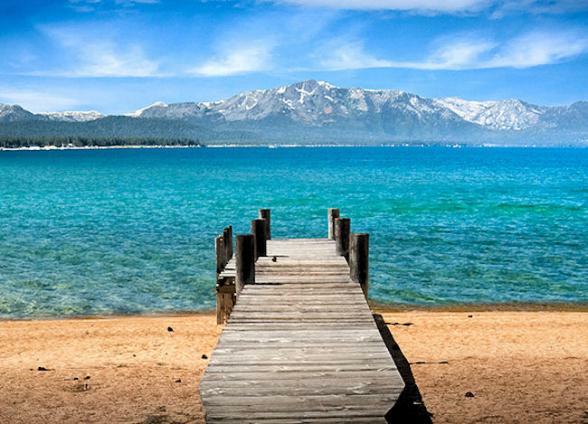 On tour second day here consider a leisurely cruise on the lake on the Queen Of Tahoe Mississippi paddle wheeler or take in the views from above on the Heavenly Gondola. You may also want to spend your time here taking a gentle hike in the alpine forest or lazing on the beach by the lake. It's time to head south today towards Yosemite National Park where some of the world’s most spectacular mountain terrain is protected within its 1,170 square miles of wilderness. 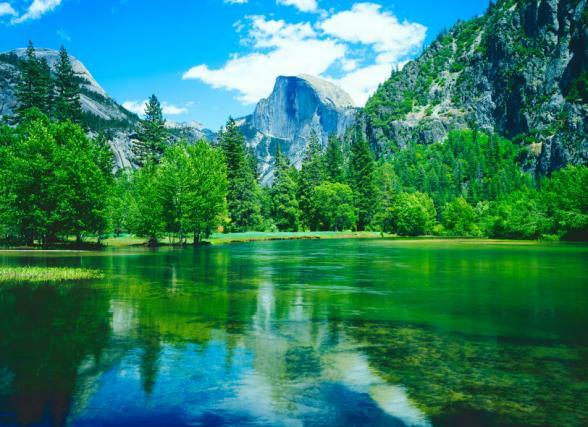 In this park, a UNESCO World Heritage Site, you’ll view towering granite formations, crystal-clear streams, majestic waterfalls and ancient giant sequoias. 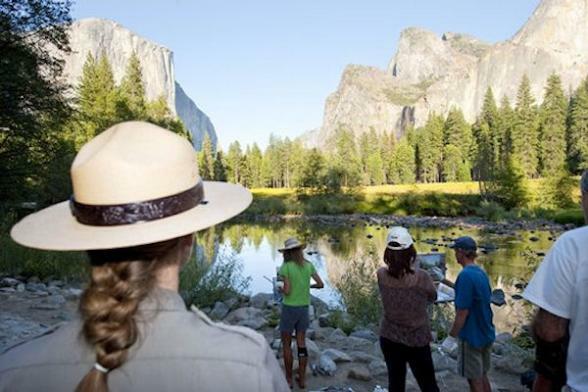 Choose to discover this national park on your own on the YARTS system (Yosemite Regional Area Transport), or join a tour with a naturalist guide. 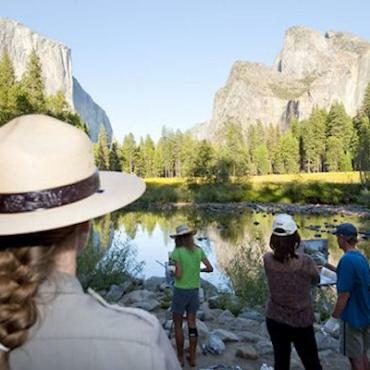 During your stay in Yosemite you'll enjoy a cheese and wine reception with local guides who'll be delighted to share their knowledge of this astounding area with you. Today, we head back towards the California coast and the beautiful Monterey Bay. 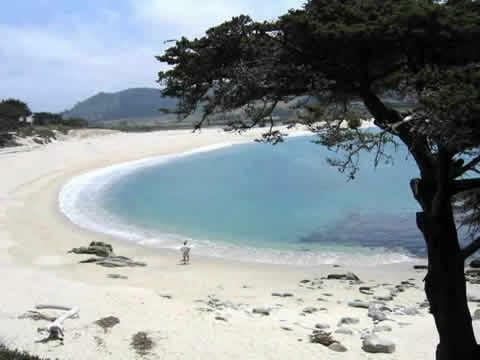 Our base for the two nights will be close to Pacific Grove, Moss Landing and the fairy-tale like village of Carmel-By-The-Sea. This area is renowned for whale-watching, we'd be pleased to include this experience as part of your tour. 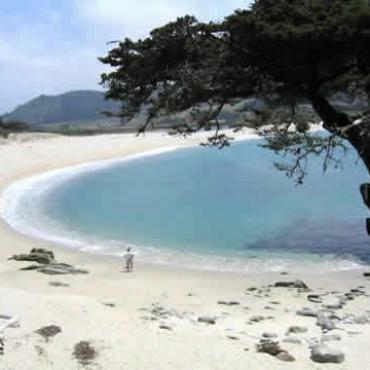 Alternatively, the campsite is located on a dunes preserve and just a ten minute stroll to miles and miles of undeveloped Monterey Bay beachfront begging to be explored. Today is all about the journey. 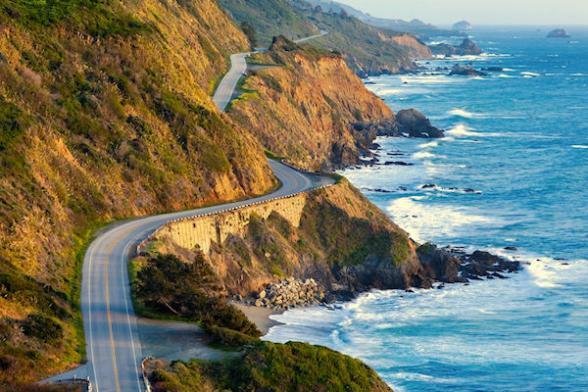 You’ll travel along Monterey Bay and on the famous 17 Mile Drive before cruising slowly south on one of the world’s most scenic routes – California Highway 1. Prepare for an exhilarating experience. 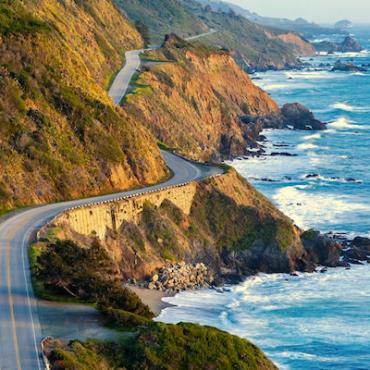 This twisting, cliff-hugging, route along the central California coast starts in historic Monterey, and threads through Big Sur, where mountains plunge into the Pacific. Farther south, the landscape mellows to oak-studded hills as the road passes ‘The Enchanted Castle on the Hill’ Hearst Castle to Morro Bay. Our next two night stop is in the shadow of the Sierra Madre Mountains in an area of the coast is known as ‘The American Riviera’. It's a great place to relax and soak up the California sunshine. From your base here you'll have the option on the second day to hop on a transfer and enjoy a day exploring the nearby historic Moorish town of Santa Barbara. 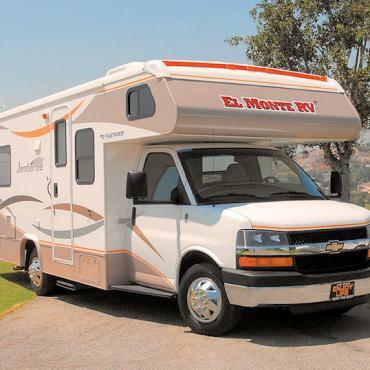 We'll carry on our motorhome adventure this morning along the scenic California coast and through the Santa Monica Mountains before returning your vehicle to the Los Angeles depot by 1pm. 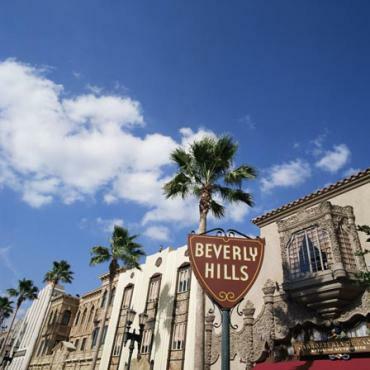 You'll be transferred your luxury hotel in swanky Beverly Hills early afternoon where you can enjoy pool time or a stroll around famous Rodeo Drive! 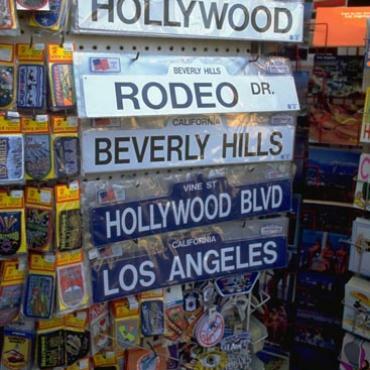 On your second full-day in Beverly Hills we've included a excursion that will take you to all the famous sights that Los Angeles has to offer such as Bel-Air, Santa Monica, Hollywood, Sunset Strip and Paramount Studios. 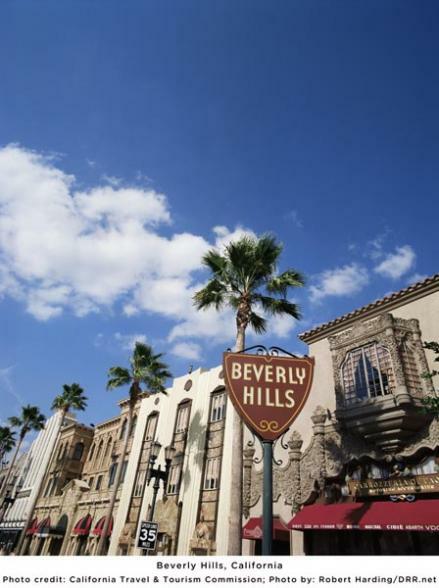 Alternatively, you may prefer time on your own to shop, stroll along the famous LA beaches or enjoy a thrilling action-packed day in Universal Studios! 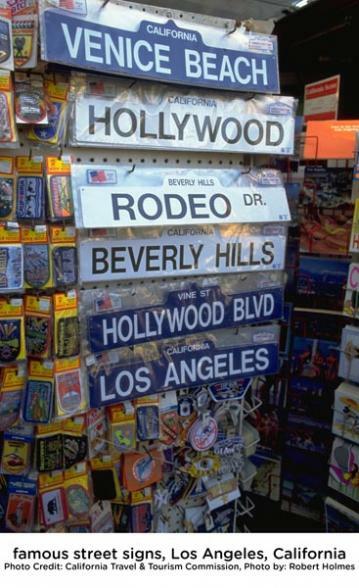 You'll be transferred from your hotel to Los Angeles International Airport for your evening flight back to the UK. 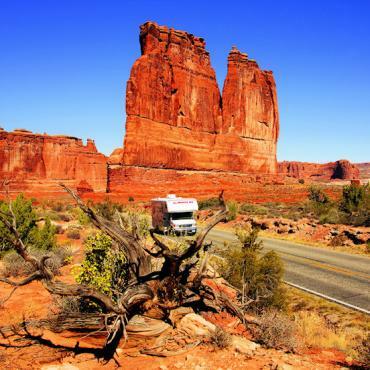 Perhaps another motorhome adventure..we'd recommend travels around Utah, Arizona, Nevada and Colorado. Maybe, a short train journey and time on the beach in San Diego? 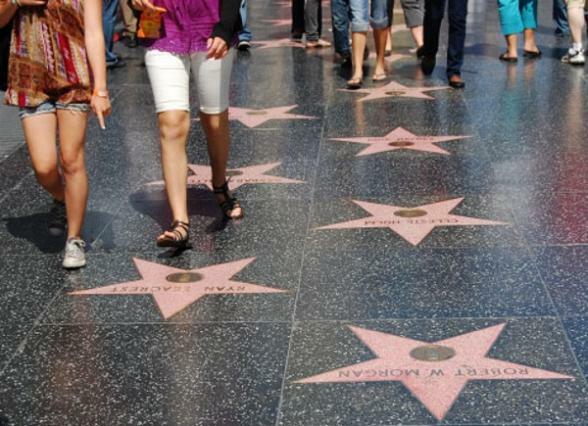 A city stopover in New York, Boston or Chicago to break your journey home? All Bon Voyage holidays are tailor-made, please call us to discuss your plans further. Deposit per person £500 with balance due 10 weeks prior to departure. For further information and reservations call Joanna Still or Hayley Crook on 01342 779 349.